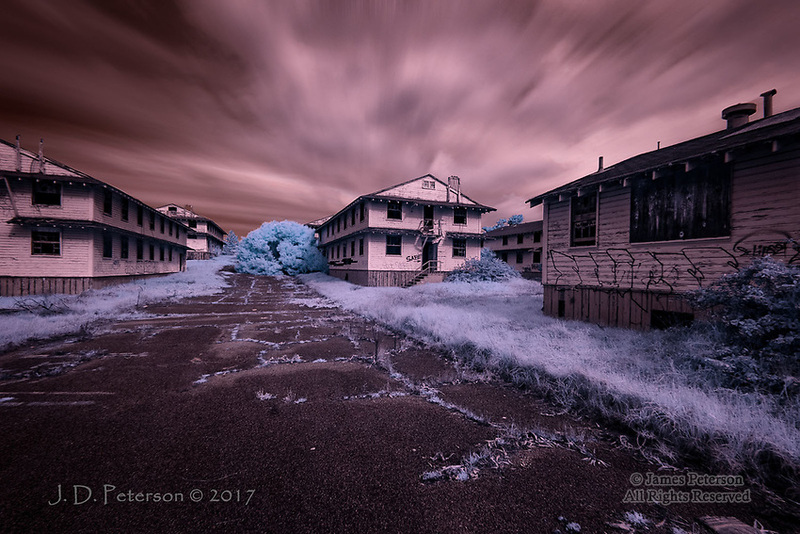 Safe: Abandoned Barracks at Fort Ord, California (Infrared) ©2017 James D Peterson. Fort Ord was once a huge military training complex in Monterey, CA. But it has been largely abandoned for many years now. Mother Nature and human intruders are unwittingly collaborating on its gradual decay and decomposition.